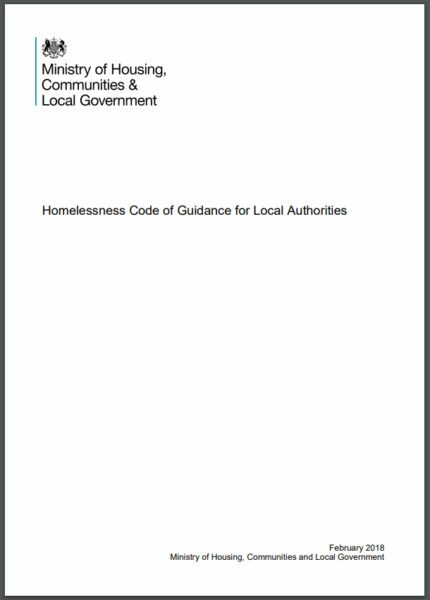 Just a quick note to alert readers in England that the Code of Guidance was updated on 1 November. However there's no reason to panic if you're a homeless officer. You won't have to amend all your decision letters, as the amendments are few and only minor (they're listed here).